Posts on the Side. No Obstacles Underneath. Cantilever shades are a great way to create shade on an area without interference from vertical posts. They do this by placing the post on the outside of the canopy, away from the play area. Square and rectangle cantilever shades have posts along one side of the canopy (for rectangles, usually one of the long sides). There are 2 sets of posts at either end of the long side. The posts have long horizontal arms that project across the area to be shaded. In this way, they offer sun protection without obstructing the people enjoying the shade under the canopy. With a cantilevered square or rectangle shade, you get the full sun protection without any obstruction from vertical posts at each corner. Yes, it’s a minimal obstruction, but some customers find the cantilevered design aesthetically more pleasing. Others like to avoid vertical posts when small children are involved; they don’t always look where they’re going, and sometimes collisions result. Still, other customers may not have the space or diggable ground to accommodate the 4 vertical posts of a standard-design shade. We offer many sizes of cantilevered square and rectangle shades. Canopy sizes start at 10′ x 10′ and increase from there by 2-foot increases. 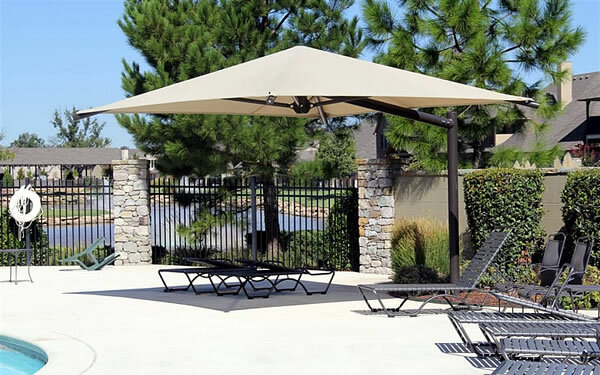 The height of a cantilever shade is the height of the outside edge of the canopy above ground level. The lowest height we offer is 8 feet, which is actually 11 or 12 feet high up in the center of the canopy. 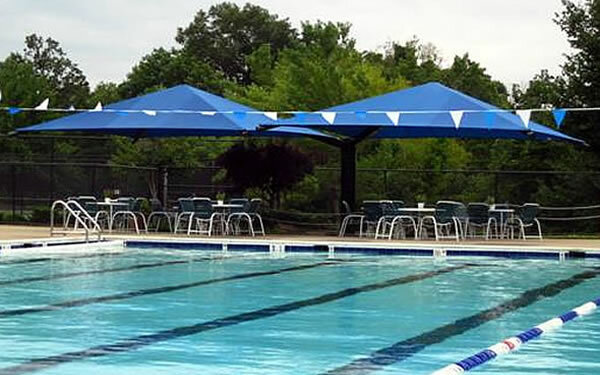 We also offer 10 feet, 12 feet, and 14 feet high cantilever shades as standard models. We can design cantilevers that are even higher, but these are custom jobs. Many colors available. 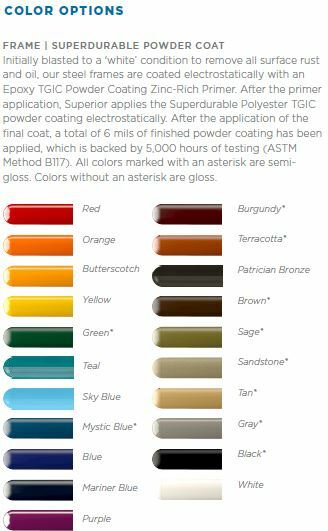 Please see diagram on this page for sample colors. Pricing for square and rectangle cantilever shades tends to about 30% more than the pricing for hip roof squares and rectangle shades. Why are the cantilevered models more expensive than the standard 4-post design? Because the cantilevered posts must use much thicker steel to support the entire weight of the canopy from the side, and because cantilevered posts have the inverted “L”-shape appearance with 2 long horizontal posts extending all the way underneath the canopy. Check out our pricing list below. To get a quote, simply click on the ‘quote cart’ button and send us a message. You may also fill out the contact form on the right sidebar or simply call us at (877) 840-0707. 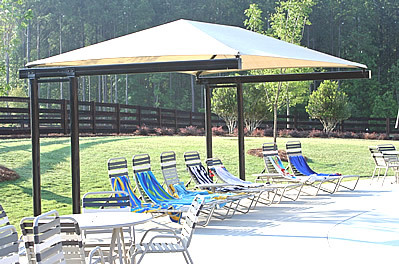 Note: Two prices are shown for each size of shade: one without a quick-release system for the canopy, and one with the quick-release system. We highly recommend the quick-release system, which makes it much easier to remove and replace the canopy (often done on a seasonal basis). Superior Shade, Inc. manufactures our playground shades, bringing years of experience to its efforts and your playground.